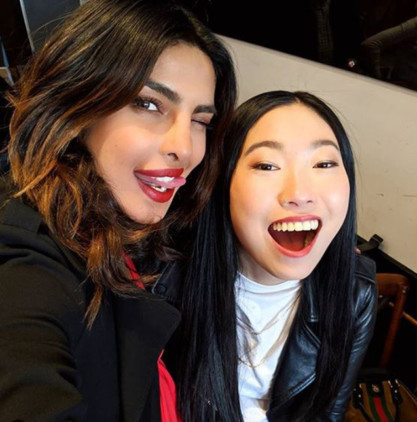 Priyanka Chopra Jonas is searching for inspiration in the new YouTube Originals special ‘If I Could Tell You Just One Thing’, which debuted March 27. The half-hour programme, which launched on her YouTube channel to her 1 million subscribers, sees the actress interviewing rapper-turned-actress Awkwafina, Olympic gymnast Simone Biles and fashion designer Diane von Furstenberg and asking them for one piece of advice. And Furstenberg, who spoke about using her voice to help other women, suggested Chopra prioritise the relationship she has with herself. ‘If I Could Tell You Just One Thing’ is based on the best-selling book of the same name by Richard Reed. Directed by Sally Freeman, the special is part of YouTube’s ‘Single Slate’ strategy, which creates content for a broad audience on the free, ad-supported side.